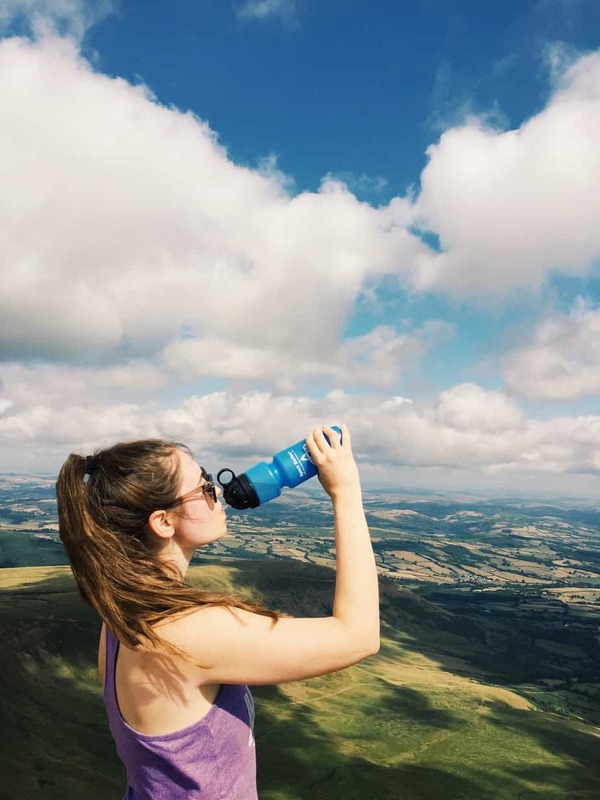 The Best Travel Filter Water Bottle and Why You Need One! For a long time, I’ve been considering the pros and cons of a travel filter water bottle. Now, I’m not really a spontaneous person when it comes to spending my money on physical products… ask me to zipline across the alps or swim with manatees and I’m your person! 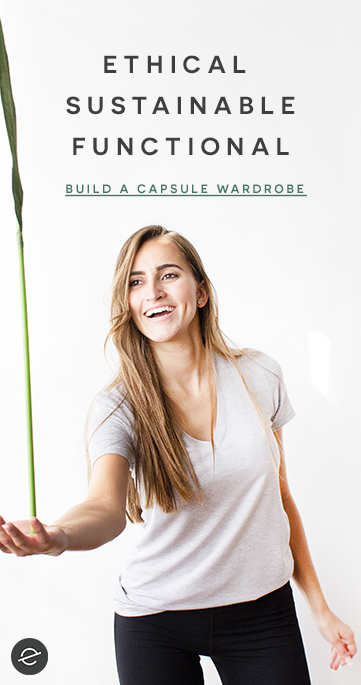 But if I’m spending my hard-earned cash on an actual, physical item? I want to make sure it is worth it. A couple months ago I decided I’d done enough research, and bought a travel filter water bottle. 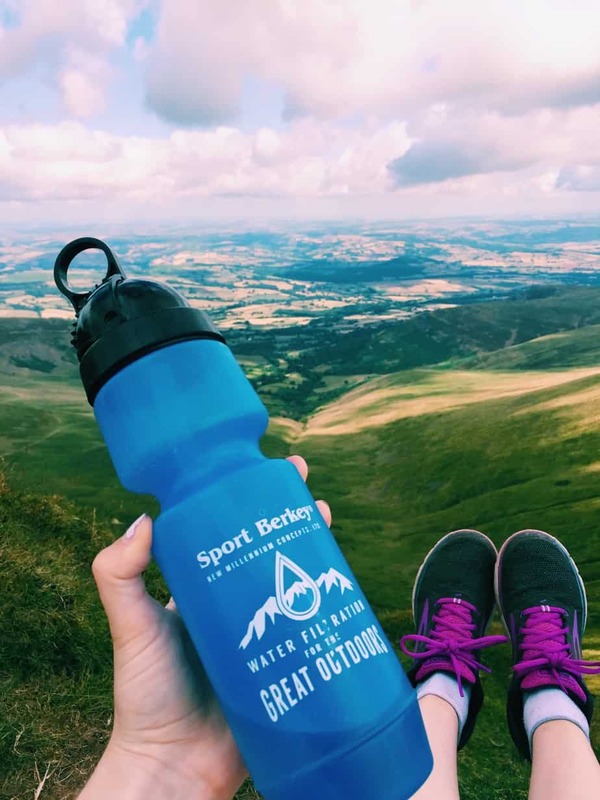 After looking through lots of sites, weighing the benefits of each brand, I decided to test out Berkey Sport Water Bottle. 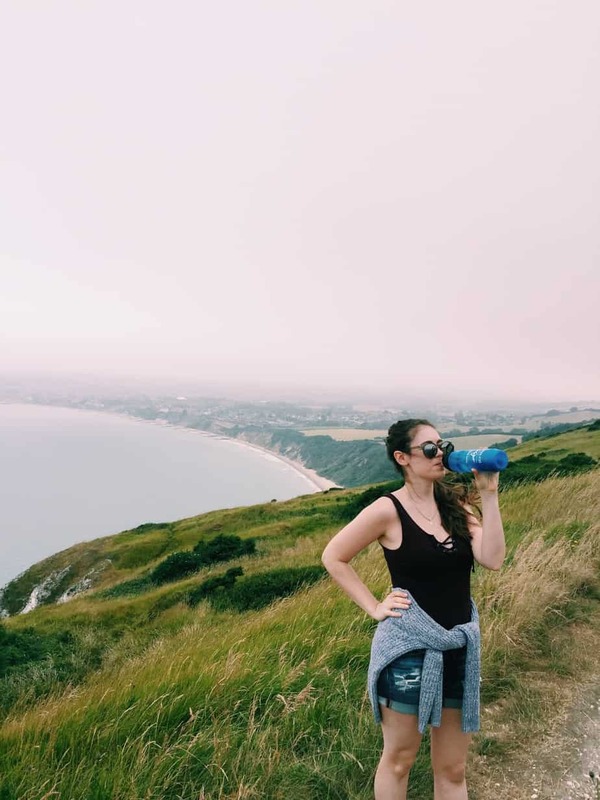 If you’ve been following my instagram, you might have seen some of my experiences with my new travel filter water bottle! I used it for a month at home, taking it everywhere with me. Then, I jetted off to England, Wales and Portugal and really put it to the test. 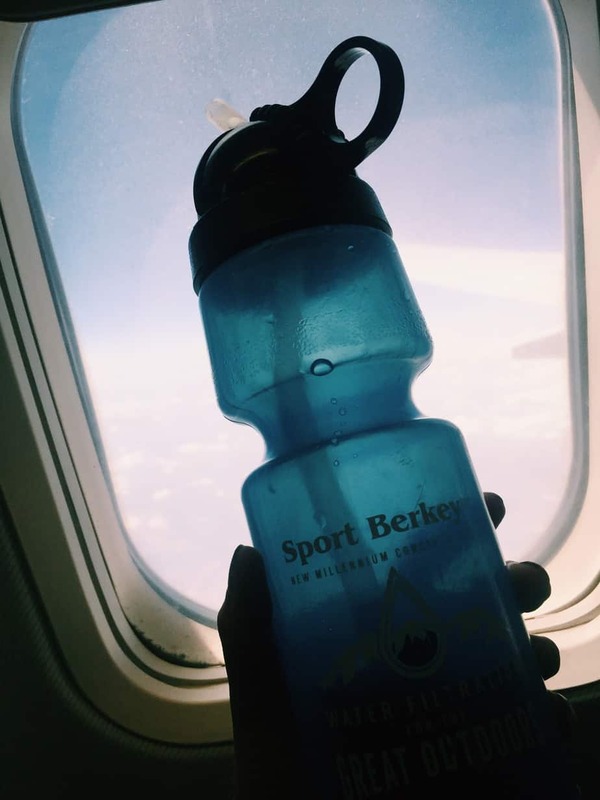 Here is my review of the Berkey travel filter water bottle, and why I think every traveler should get their own travel filter water bottle! 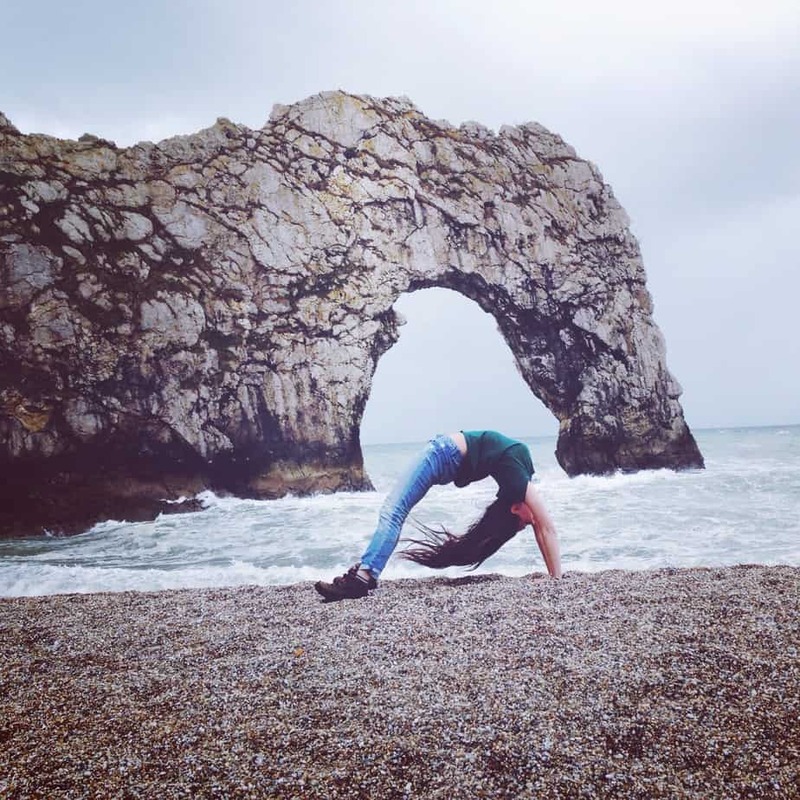 Drinking from my travel filter water bottle at Old Harry Rocks in Dorset, England! *Some links in this post are affiliate links. I may make a small commission, at no extra cost to you, if you purchase an item from one of my links. This helps me with the running costs of this blog. Thank you for supporting Endless Distances! *This post is NOT sponsored! I genuinely love my Berkey! 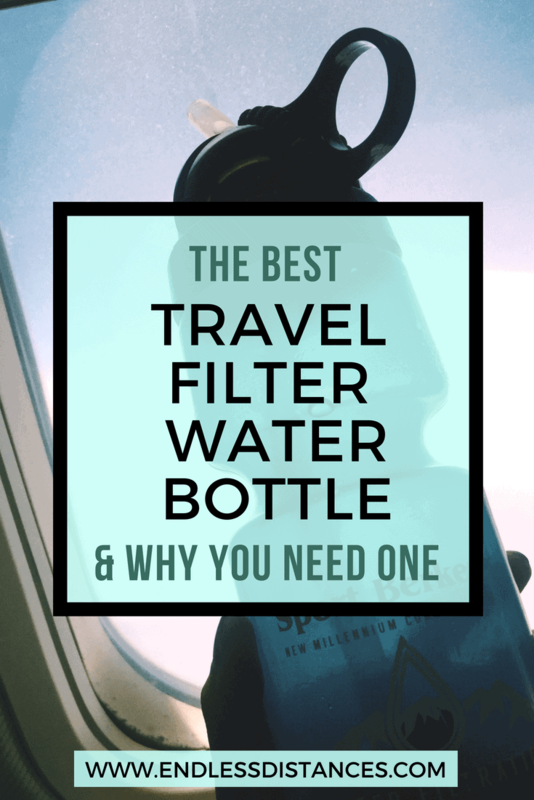 There are so many reasons travelers should have a filter water bottle… I can’t believe this was my first one and how much easier it made things. 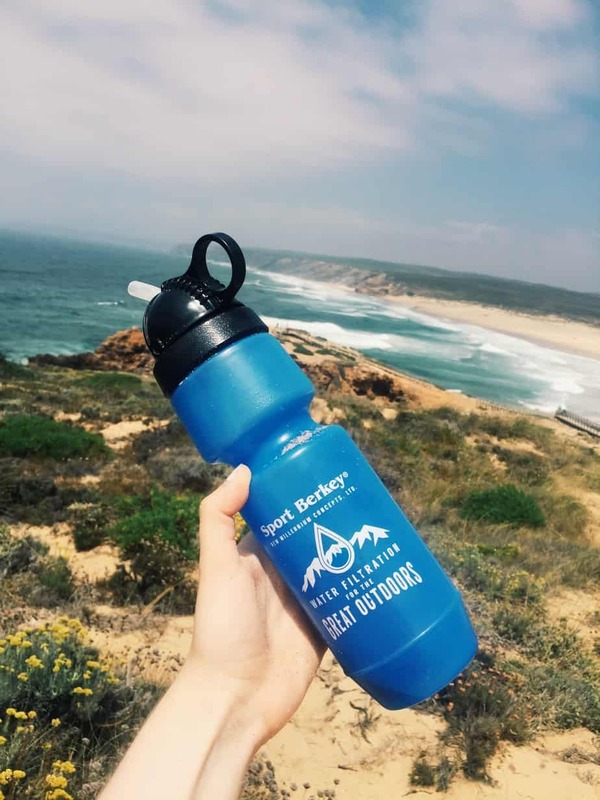 The most obvious reason to have a travel filter water bottle is if you are hiking or camping. The Berkey Sport Water Bottle filters out sediment, as well as hundreds of contaminants and viruses. It is safe to use on even still, brackish water. If you are stuck in the woods, or on a super long hike, you can refill from wild sources. 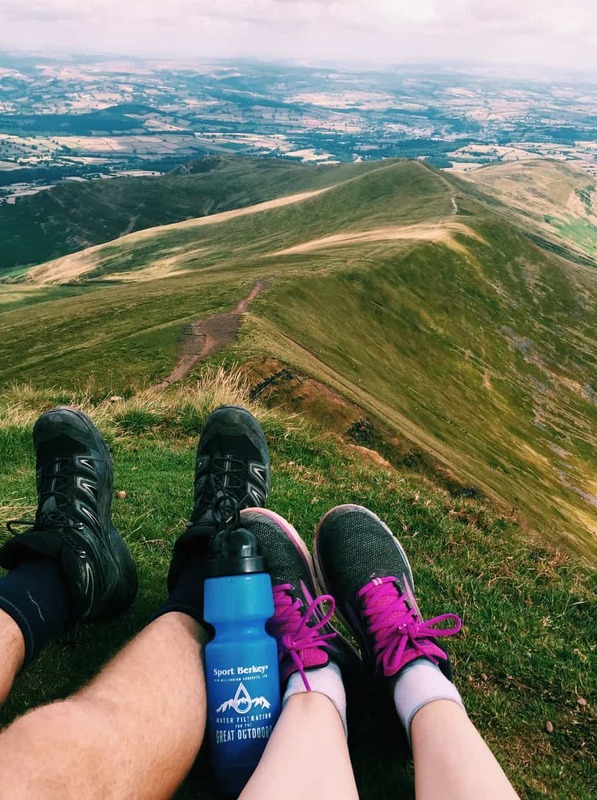 We took the Berkey when we hiked up Pen Y Fan mountain in Wales! Okay, but what about the non-camping aficionados? You probably know that tap water is unsafe to drink in many countries and cities. This is a big issue if you are doing international travel (look at this interactive map to see where tap water is and isn’t safe to drink). However, basic ‘yes’ and ‘no’ answers for safe tap water are a bit of an oversimplification. For example, I thought the tap water would be safe to drink in the UK and Portugal, but where we were in Lagos, Portugal, it turns even the locals didn’t drink the tap water. And you don’t need to travel internationally to run into this problem… Many cities in the United States have low quality tap water. Take, for example, the lead poisoning crisis in the city of Flint in my home state of Michigan! A travel filter water bottle like the Berkey filters out 99.9% of heavy metals, including lead. In addition, even if you are in a city with ‘safe’ drinking water, just think about all the random situations you get into as a traveler. For example, on my trip to the UK and Portugal I was able to refill from airport bathroom taps, gas station bathrooms, water spigots by the beach, and even outhouses along a remote cliff in the Algarve. These are not places I would usually refill water from because, well… they are a bit sketchy! Thanks to my Berkey travel filter water bottle I didn’t worry about this, and I stayed so much more hydrated. It was so nice to have my travel filter water bottle for those sketchy airport bathrooms! A final word on why travelers should consider getting a travel filter water bottle. Travel can really cause digestive upset, especially if you have a sensitive stomach or chronic illness like me. Filtering out all potential contaminants, even if they aren’t ‘toxic’ and are just different from your local water/routine… well, this is just a safety measure to make sure your tummy stays happy on the road! 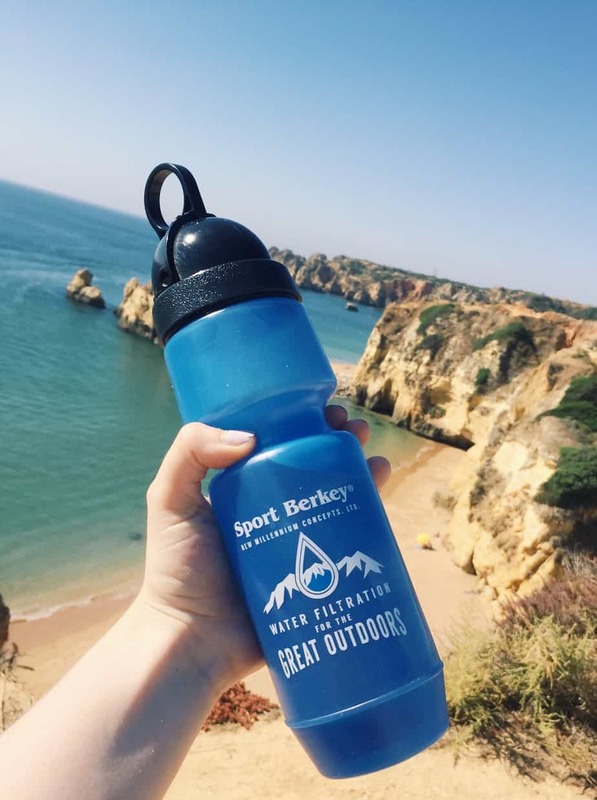 I took my Berkey water bottle on our surfing trip in Portugal! Both Dan & I LOVE the Berkey! It is a reasonable price. At roughly $30 it is less expensive than other travel filter water bottles that don’t even filter as many contaminants! It is BPA-free. I try not to buy plastic but when I do I want it to be BPA-free. I contacted Berkey about why their bottle is plastic and they said it is because their filtration technology needs to be squeezable. It’s a decent size. I drink a LOT of water. At 22oz the Berkey bottle is a decent size. It lasts for a long time. The filter lasts for 640 (!) refills from municipal sources, or 160 from any source (AKA ponds and brackish water). It has good reviews. It does… you’re reading one right now! Check Amazon for more. I was so impressed with my Berkey travel filter water bottle. It even passed the test of not spilling in my bag. It was invaluable during my travels, particularly during flights as I could refill in the bathrooms, on road trips for the same reason, and on our long hikes. 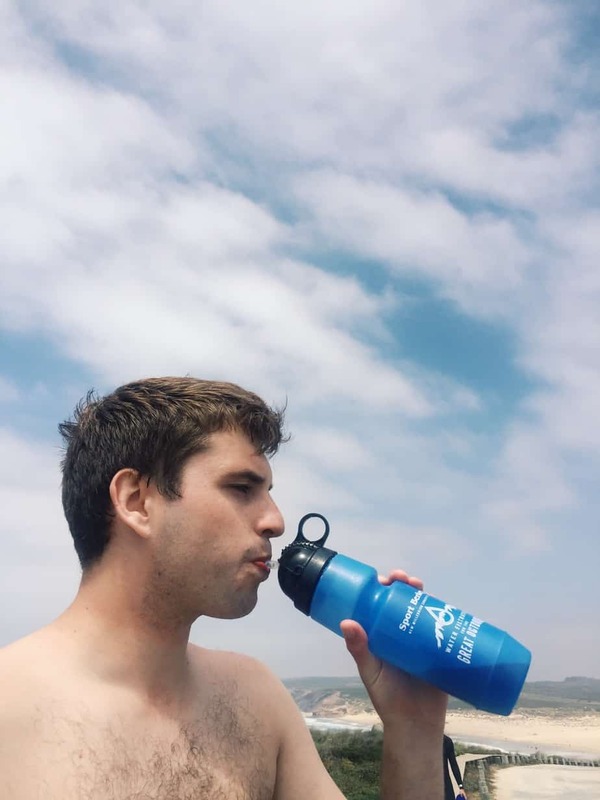 Even DAN loved the Berkey travel filter water bottle. He is even more frugal than me about buying ‘superfluous’ objects. I asked him at the end of my trip what he thought of it and he LOVED it and is going to buy one! Dan stealing my Berkey post-surfing! There are only a couple negative things I will mention about the Berkey. First, when I opened it on the airplane, some water squirted out at me… whoops! This I’m sure has to do with the cabin pressure changing on airplanes, and the Berkey bottle being susceptible to that as it’s made of soft plastic. A simple solution for next time would be to fill the Berkey 3/4 of the way instead of completely full before a flight. Secondly, I do wish the Berkey was a bit bigger. This is a personal preference, but I love BIG water bottles because it encourages me to drink more! You can’t fill the Berkey up completely because when you put the filter/straw combo in, it will overflow. I did mention this to the people behind Berkey on instagram, and they said that they would take my input and consider it next time they do a redesign. The conclusion? I’m so glad I bought this water bottle! Should you buy a travel filter water bottle? YES! I bought my Berkey on Amazon because that is where I found the best price. Buy a Berkey here. What do you think? 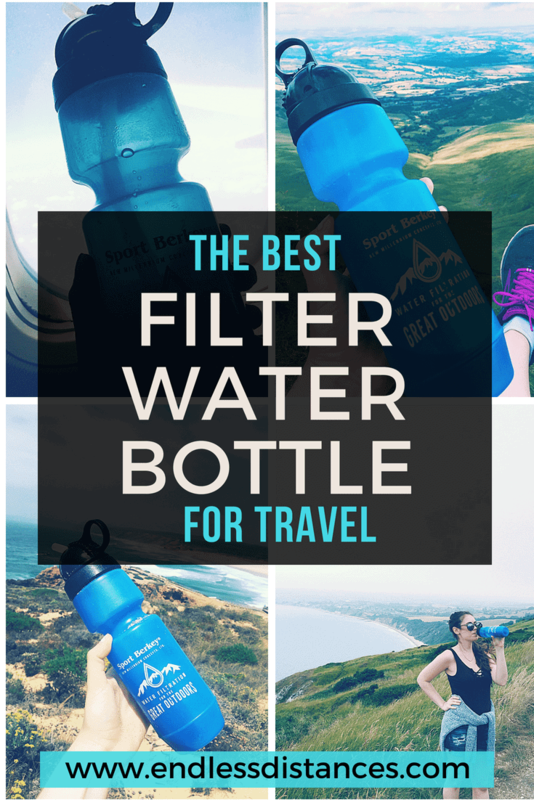 Have I convinced you of the benefits of a travel filter water bottle?